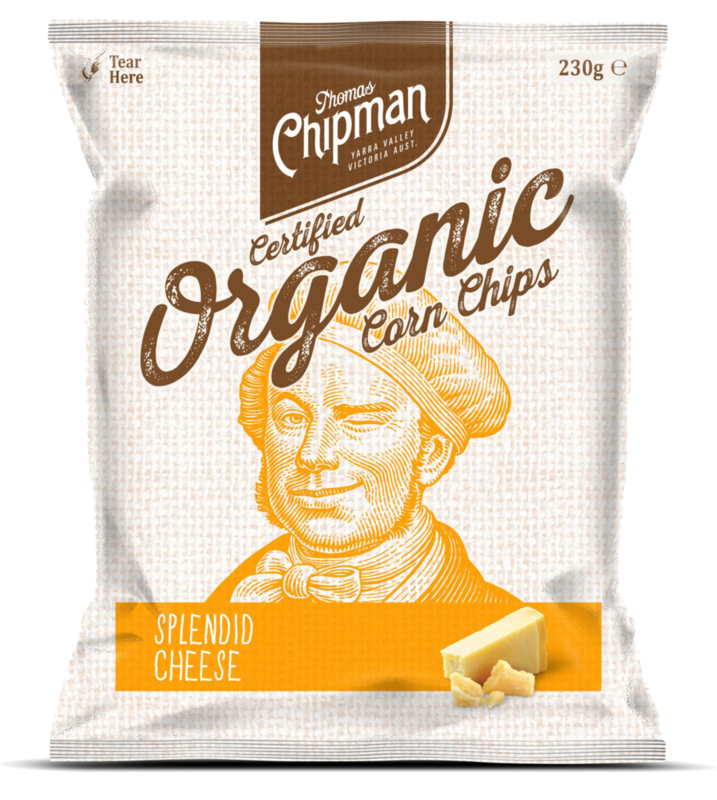 My proudest moment – the creation of the first certified organic, 100% gluten free corn chip made in Australia. Big on fresh corn flavour and light on salt. You can taste the difference. Available in a 230g and 500g pack. At last, a great tasting cheese corn chip without any artificial colours or flavours. The taste is simply splendid. Try this extraordinary chip for yourself. Available in a 500g pack. A truly remarkable corn chip with a taste like no other. A deliciously satisfying treat, made from 100% Australian corn blended with a mix of ancient grains and seeds, comprising chia seed, linseed, brown rice and quinoa. Available in a 200g pack. 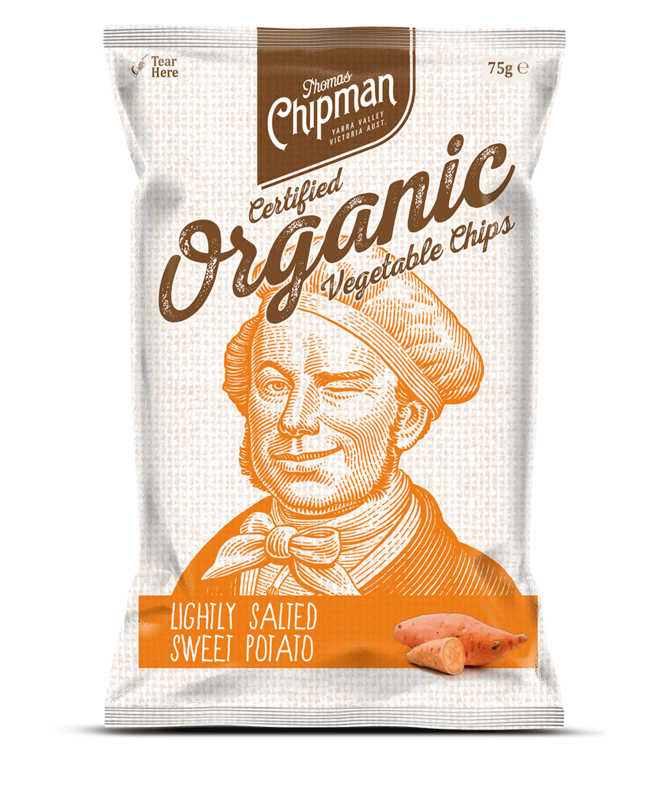 The bringing together of corn that is blue and quinoa that is of superfood status to create an amazing chip that is as visually stunning as it is tasty is a testament to the pure artistry the world has come to expect from its favourite chip man. Available in a 200g pack. 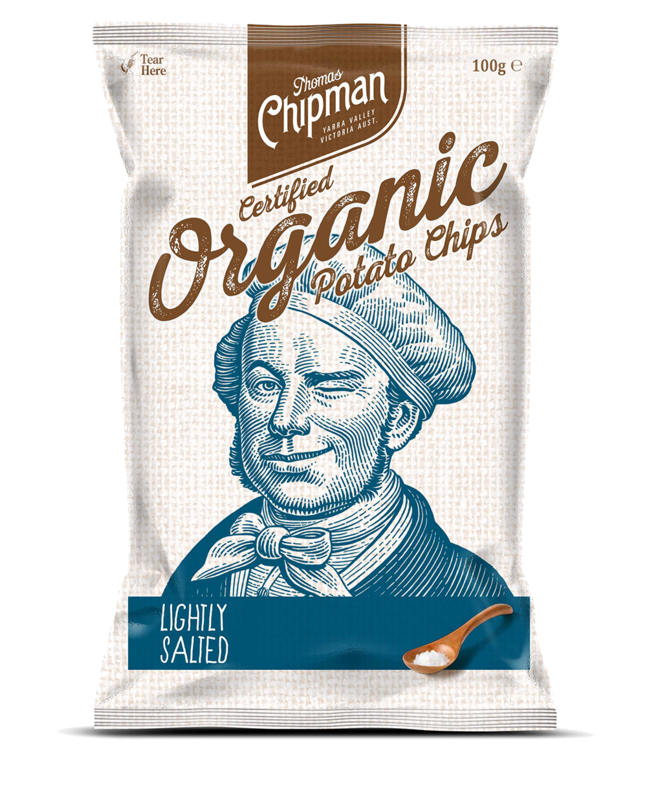 After mastering the perfect organic potato chip, I soon realised that some people might like a little extra flavour. 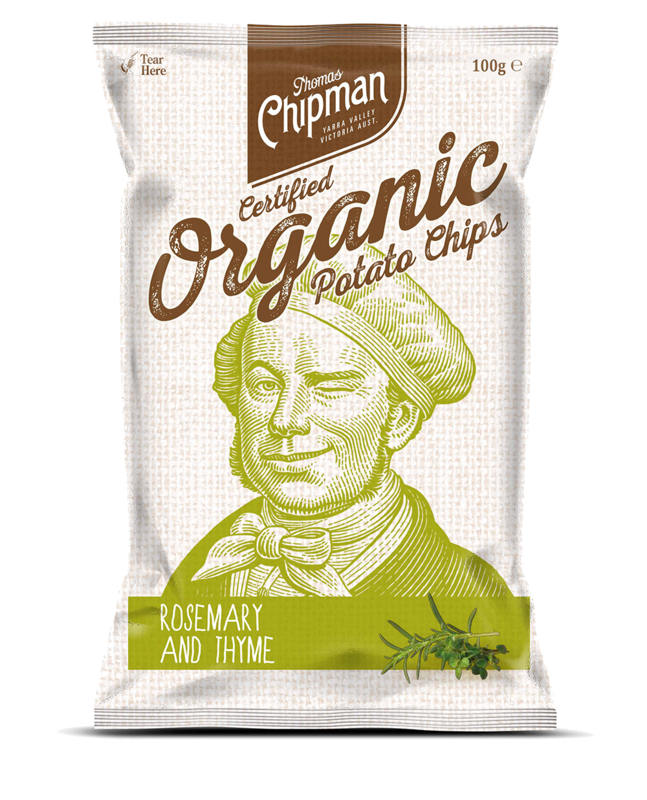 So I added two of my favourite herbs, ones that work so harmoniously well with the humble potato, to create a truly delectable chip. Available in a 100g pack. It was then due time to celebrate the delicious taste of organic potato; I realised it was so flavourful it doesn’t require any seasoning to shine. I created an Unsalted version to honour the natural and flavourful organic potato in all its glory. Available in a 100g pack. There was a time when the sweet potato was considered the “food of the rich” and favoured among the royal houses of England and Europe. These delicious morsels are delicately crispy and full of natural sweet flavour. Available in a 75g pack.